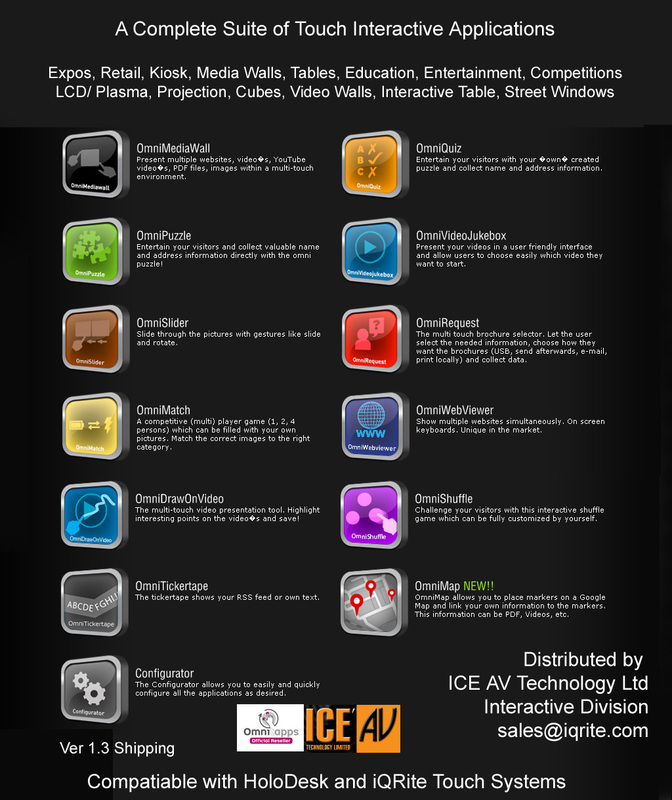 HoloDesk Catalogue available in the largest range developed for every budget. The current HoloDesk Pricelist is now published in 4 currencies. Due to confidentiality you will need to request a password to open the 39 page price list. Please visit this Request Link. Each model is available in two DIY options. We have published it in 4 currencies for the benefit of our international customers. The HoloDesk designed by ICEAV is designed to make a DJ look good on stage. 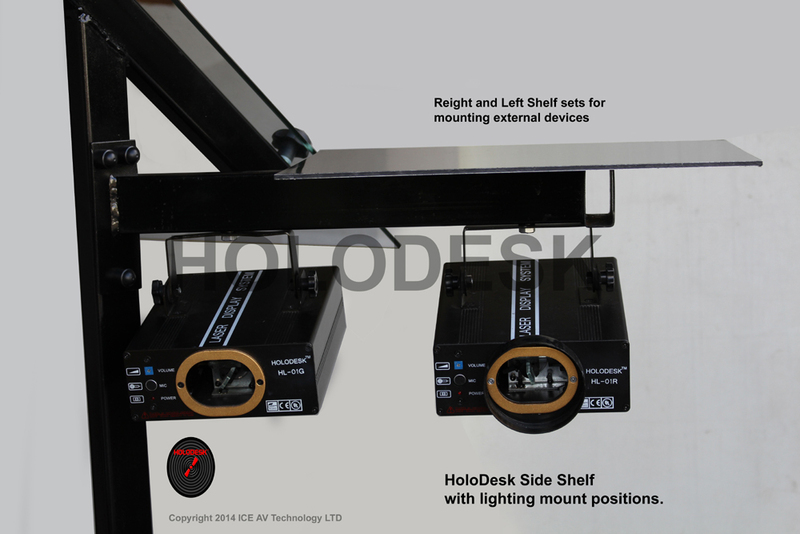 One aspect exclusive to the HoloDesk is that the frame mount system is designed to hold the glass surface very rigid with a minimal amount of support structure and at the same time hold auxiliary equipment and lights. It is the only touch surface stand that can be stacked with laser or LED lights, both out to the left and right and also within the HoloDesk foot print. The stand can hold a considerable numbers of lights and is only limited by the size of your lights. 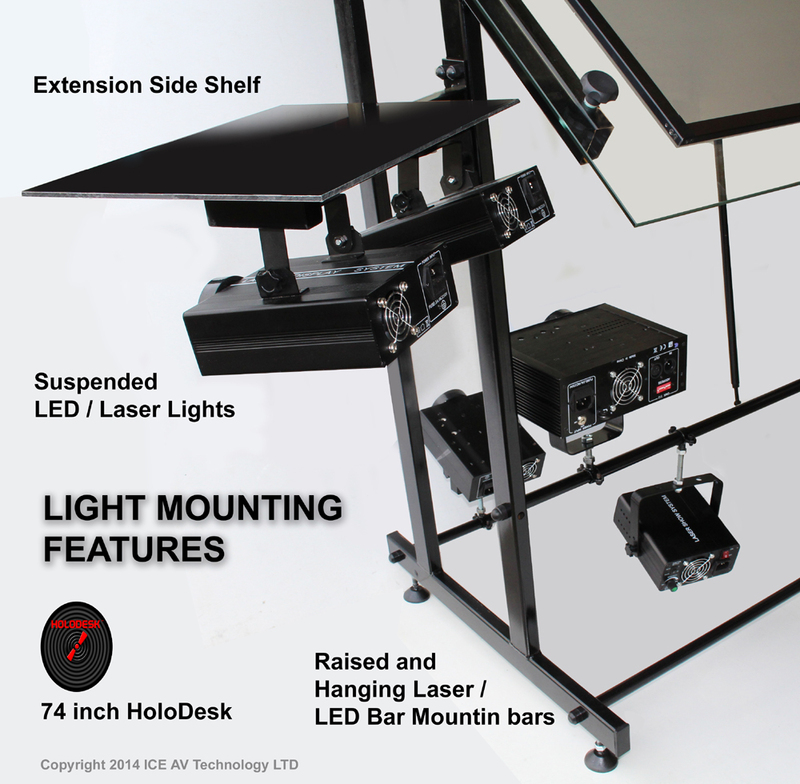 The Holodesk mount frame is designed to be multi purpose and functional. The pictured standard mounting feet can be swapped out for locking wheel feet if required. The feet can be adjusted for uneven floor surfaces. The shelf platform can be easily removed from the shelf bracket if required. Both left and Right Hand brackets have the same functionality and size. The Shelf Brackets are standard options of the HoloDesk (excludes lights). 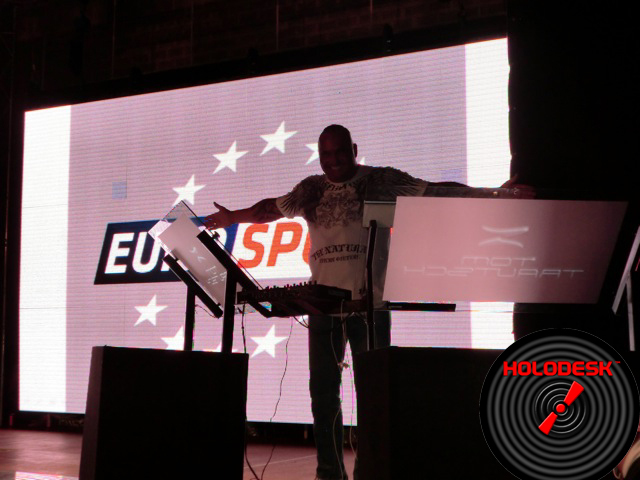 The SuperKombat World Grand Prix Final was broadcast live in eighty-three countries on the 19 November and featured the talented experience of German based DJ legend Tom Trautsch – European HoloDesk DJ Amabassador. Erhan Deniz, Sergei Lascenko, Ismael Londt and Pavel Zhuravlev, the winners of the four SuperKombat World Grand Prix events which had taken place throughout 2011, will compete at the event to decide the overall champion. Mitsubishi Motors, the main sponsor of the promotion, awarded the winner with a sport car Lancer Ralliart, beside the prize money (a cheque for € 50,000). Multi Touch Interactive Content Management Software is the strategic key that makes the Holo-Info-Desk come alive that allows all types of common media to come alive at a user’s finger touch. One of the solutions is our OmniTapps media wheel solution that brings together a diversion range of access routes to media. The versatile back end allows custom set up, menus to be disabled or switched on. This feature allows the application to be configured to a wide range of applications as diverse as a real estate or or table top in a club. Furthermore adapting it to a class room or expo is actually a few mouse clicks requiring NO GEEK Coding. For the expo or retail store the ability to print our brochures at a finger touch means every single brochure will be the latest version and NO More wasted paper or having to do print runs before a promotion or simply saves the brochure to a USB memory stick. For the music store or video rental store the application provides the perfect interface for shoppers to check out the latest music videos and movies. The Holo-Info-Desk is the commercial media system based on the world famous HoloDesk used by Deadmau5 in his Earls Court Dec 2010 Concert. The Holo-Info-Desk ships in a range of physical formats. HoloDesk range continues to expand with the growth in the multi touch large format market. During the last few months we have been extending the HoloDesk range that includes both projection and flat panel displays to cater for the ever expanding market for large format touch surfaces. The 50 inch bench top configuration of the Holo-Info-Desk is ideal when you want an in your face size multi touch screen and mobility. The stand packs down to an insignificant size, whilst the screen at 50 inch is still transportable. Pictured is the interface for the ITEX NZ IT conference to be held in Auckland in November where over 400 IT managers will be introduced to the Holo-Info-Desk format in both projection and flat panel scenarios.